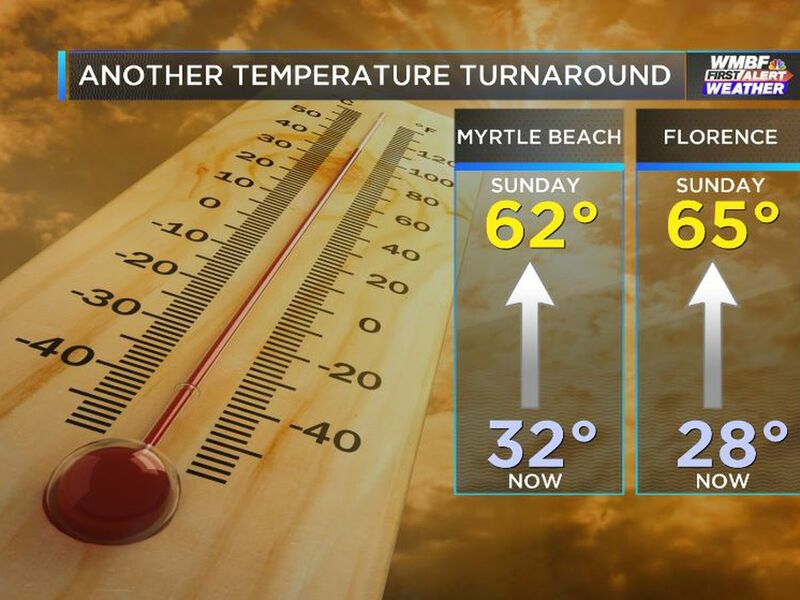 MYRTLE BEACH, SC (WMBF) - The cold front that brought Thursday’s wind and rain is now well offshore with cooler temperatures settling in behind it. Today will be bright, brisk and a bit breezy at times. Skies will be sunny for most of the day, but a round of clouds will be likely this afternoon and evening. Temperatures will be much cooler than Thursday with afternoon readings near 50. 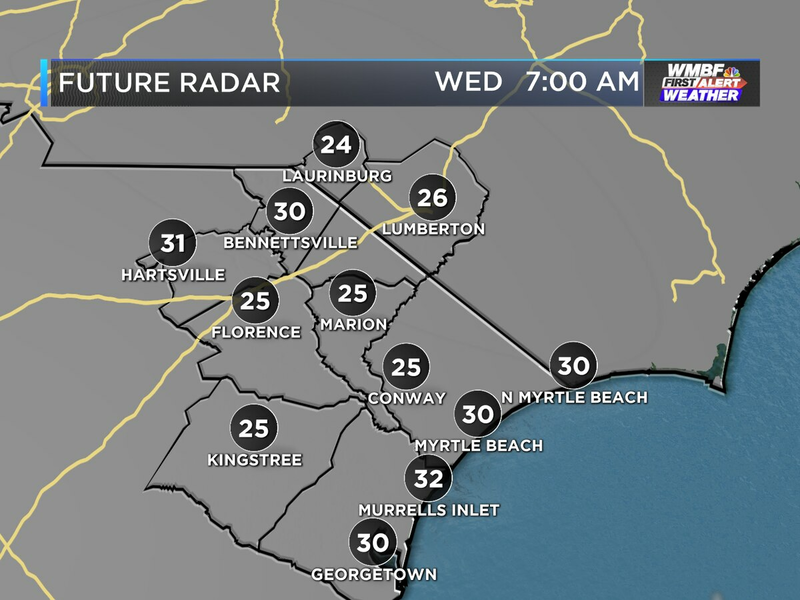 Tonight will be clear and cold as temperatures drop to near 30 at the beaches and into the upper 20s well inland. The weather over the weekend will be very similar. Afternoon temperatures will climb to around 50 both Saturday and Sunday with nighttime temperatures both nights dropping into the upper 20s and lower 30s. Skies will be mostly clear through the weekend. Heading into next week, we’ll once again be watching another strong cold front move through the area. 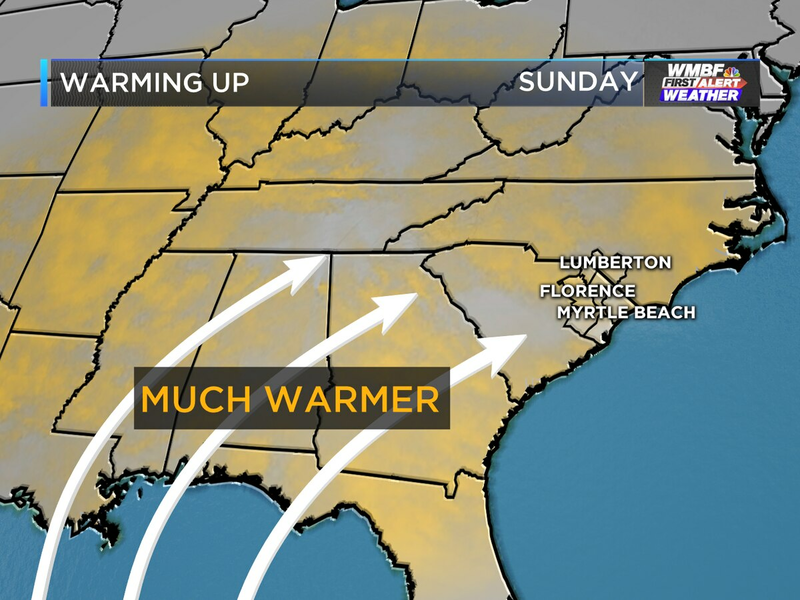 Ahead of the front, temperatures will warm to near 60 on Tuesday. 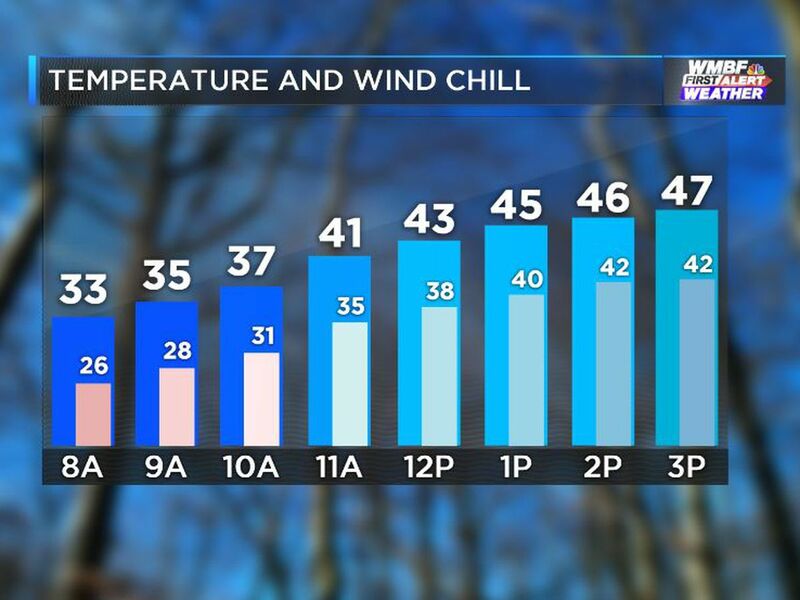 Following the front, another round of Arctic air will drop daytime high temperatures back down to near 40 by Wednesday. Only a brief shower or two will be possible late Tuesday as the cold front moves through. 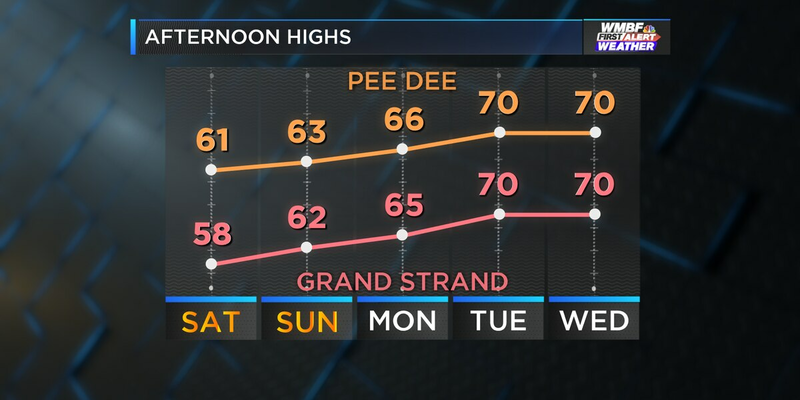 A few showers today, followed by surge of spring-like 70s. 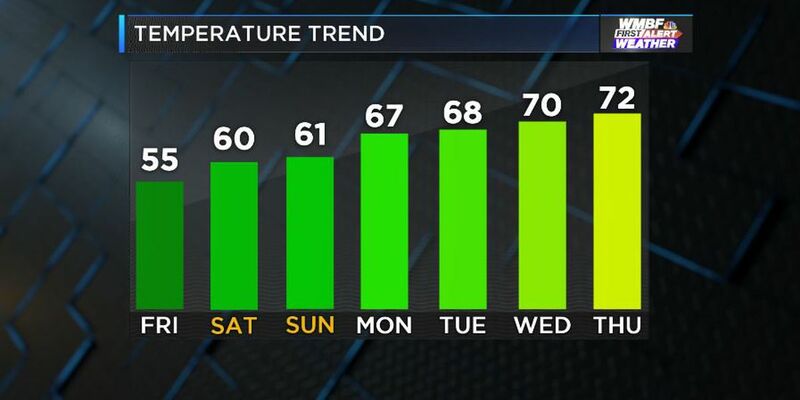 Temperatures are set to turn over 20° warmer over the next week!